A winters day with a good snow fall at Loch Pityoulish one of the prettiest places around the Cairngorm park. 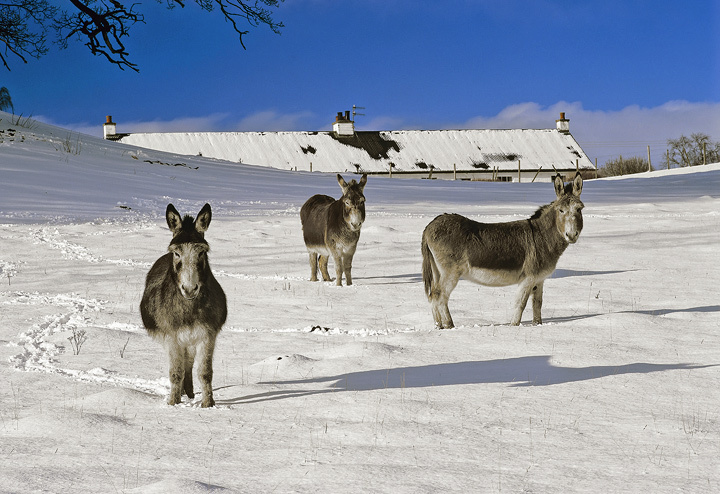 In the field beside the loch is an enclosure containing three elderly donkeys. They look surprisingly chipper considering the low temperatures and I managed to get them all to pay me some attention at the same time for the shortest of instants. Looks like a Mexican standoff. I was particularly pleased to include and separate the shadows too.